Kristin is pleased to be serving as the President for BLT. She found her love of theater and performing in elementary school and has never looked back. Studying music theatre in college, she graduated with a degree in Human Services with minors in theater and criminal justice. 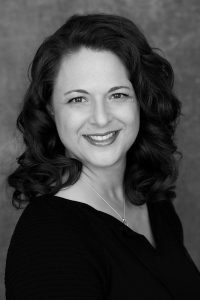 While spending seventeen years working in the law enforcement arena, Kristin has continued to volunteer in the theater community as an actor, director and stage manager. 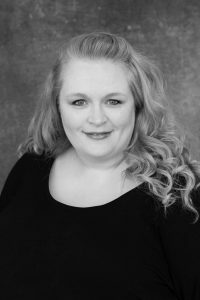 She is a mother to five and cannot wait to pass along her love of the theater and her experience to her children, as well as those involved with BLT. Meghan is honored to serve as BLT’s Vice President, which allows her to do exactly what she loves —- a little bit of everything! Meghan began her theatre career over 25 years ago and has since been a part of countless productions as an Actor, Director, Designer, or working the business end of production. 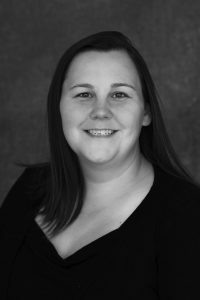 Meghan studied education and theatre production and performance at Miami University, and has a Masters of Education from Texas State University. After working as a teacher and guidance counselor, she left the workplace to do her most fulfilling job — mother to four amazing girls. In 2012 she moved to Virginia and met an amazing group of friends who shared the same love of performing and producing. Starting BLT resurrected her passion for teaching and theater and she’s never looked back. To work with an incredible group of people, doing what she loves, and sharing that with her daughters; those have been the most amazing gifts of all. 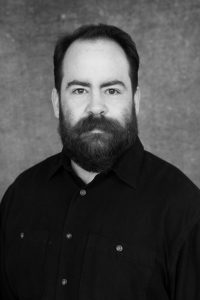 As Director of Art & Design, Les brings his many years of experience as an animator, director, and illustrator for Turner Studios (Cartoon Network/Adult Swim) to BLT. Everything from set design & construction to posters, t-shirts, tickets, social media, and show programs… he does it all!! When not designing or building for BLT, Les can often be found on stage with leading roles in shows such as Oliver! (Fagin), The Music Man (Mayor Shinn), and Les Miserables (Thenardier). 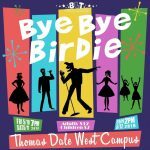 Outside of BLT Les is an art teacher at the Thomas Dale High School Specialty Center for the Visual and Performing Arts where he shares his artistic knowledge with budding young artists and animators. He still continues to freelance through his company, Lightbox Studios LLC, providing animation & illustration services to clients across the globe. 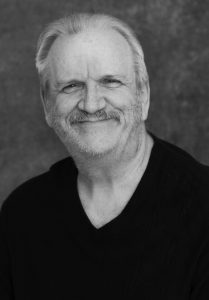 Les has been involved with theater and performing arts since his first stage show in Kindergarten at CE Curtis Elementary oh so many years ago, and is thrilled to continue to be involved with such an amazing community theater as Broken Leg. Heather Miles is a proud cofounder of BLT and ecstatic to serve as Artistic Director. She fell in love with theatre at a young age and performed in school plays and musicals including several at Thomas Dale High School. After a twenty-year hiatus to raise the beautifully accomplished Kourtney and Carter, Heather triumphantly returned to the stage in 2010 as the Cheshire Cat in a magical adaptation of Lewis Carroll’s Alice in Wonderland. It’s proven impossible to keep her away from the stage since! She has directed productions of Annie, Willy Wonka, and The (Almost) Totally True Story of Hansel and Gretel, as well as appearing as Madame Thenardier in Les Miserable, Eulalie Mackecknie Shinn in The Music Man, and most recently in the role of the Stage Manager in Thorton Wilder’s American classic, Our Town. Heather is also the “Marmee” (a role she once played in Little Women) to wee Quinn and Rory, who bring her immense joy and lots of giggles. She loves spending time with her family and friends, seeing as much theatre as humanly possible, cooking, and – of course – karaoke! Heather hopes to see you at the theatre very soon! John is excited to be joining the board of BLT. He has been acting and directing for longer than he wants to admit. He has performed at Swift Creek Mill Theatre, the Jewish Community Center, Salisbury Presbyterian Church, and of course BLT productions. His favorite roles over the years have been Jean Valjean (Les Mis), Tevye (Fiddler on the Roof), God (Children of Eden), Judas (Jesus Christ Superstar), the voice of the plant (Little Shop of Horrors) and Charlie Brown (You’re A Good Man, Charlie Brown). He is most comfortable these days behind the scenes directing, which luckily BLT has given him the opportunity to do with his longtime collaborator, Beth Mercer. John is also passionate about teaching which he has done for 42 years as of 2017. His current position as a middle school history teacher at St. Benedict School in Richmond is a dream job. John’s strongest passion is being a dad to his son J.D. J.D. helps to keep him grounded and young at heart. John is looking forward to help build on the strong start of BLT and make it a safe place for all who want to be involved in the theatre. Meghann is delighted to serve as Treasurer for BLT. She completed her undergraduate studies in Accounting at VCU and went on to receive her Master of Science in Accounting from Liberty University. In the Fall of 2017, she obtained her CPA licensure. Meghann works as a Senior Accountant for a local ticket brokering agency. Meghann has lived in Richmond her entire life and enjoys traveling, poker, VCU basketball, and volunteering. She actually met her husband, Nate, while traveling in 2010 and they were married in July of 2016. Meghann is a devoted mother to three, the middle of whom started them on this journey with BLT. While Meghann has not acted in the past, she enjoys working behind the scenes and learning more about community theater with every show. She looks forward to growing with the BLT family and can’t wait to see where this experience takes her! 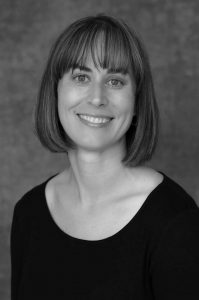 Catherine enthusiastically joins the BLT board as Director of Educational Outreach, blending two of her greatest passions–teaching and theater! 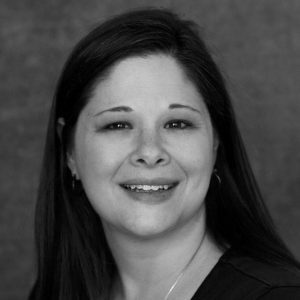 Catherine has worked as an elementary school educator for seventeen years, with a Master of Education degree from VCU. 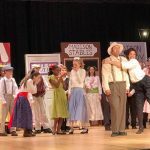 While Catherine has always been an avid Broadway fan, the mother of two boys became involved in local theater when her oldest son began performing.